Nothing the scripture is “evidence”; it’s all theological and thus mythology. Go only on credible evidence, and not absurd “interpretations” of the Bible, and Exodus has zero factual basis. does this mean there is no God? U just eloquently proved the exodus never happened, did u mean then, that the bible is the greatest fictional book ever written? To those who do not look for the evidence to show way or the other if something is true it seems that there are those who can be persauded by words alone. Look to Wall 17 of the old Jericho ruins and remember what is mentioned in the book of Joshua and compare the evidence at that time and you will see verification of the record. Look to the last two of the 6th Dynasty kings and you will see that they match the information found in the book of Exodus that leads to the departure of the slaves. Yes, it is a thousand years or so before “educated” men place them to have left, but facts are facts and evidence backing it up is golden. A myth doesn’t have to be historically correct in order to be true. Great examples of “true” myths are Robin Hood and King Arthur, among many, many others. The worth and power of such myths is the marriage of the historical events that take root in the metanarrative of a people(s) and the formative implications those events have in terms of the way that people perceives itself, how they articulate their own identity as a people. So the Exodus never actually occurred as a historical event… So what? It didn’t need to occur in order for the Hebrew people to apprehend the event as a significant formative event in their origin as a people. It was an event tied to metanarratival impressions in their collective memory, with implications that imposed certain formative elements that allowed them to articulate who they were–and who they were supposed to be, perhaps more importantly–as an entire people. The result is that the event of the Exodus is true, even if it is only loosely tied to historical reality, for both the Jews and their theological successors, Christians. Great article, by the way. I really enjoyed it! I have yet had it explained why Kemet words are NoT used to describe Kemet. Our ancient ancestors developed one of the most remarkable languages in the world,the scope of which is just being overstood. Let’s give them,and the language the respect it’s due by using it when available. Hello, ramemhotep, and thanks for reading. I’m glad you enjoyed my article. There’s a ready answer for why most people don’t use more of the ancient Egyptian vocabulary and that’s because ancient Egyptian is a long-dead language. 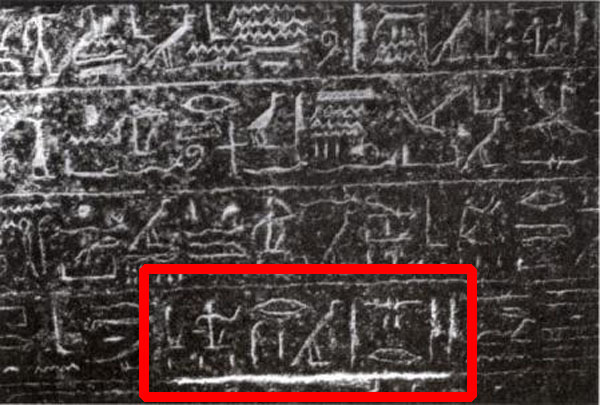 It’s well understood and I would personally say around 90% deciphered (a rough guess on my part), but the language itself fell out of use many centuries ago. Its last visage is Coptic, and Coptic itself is spoken by a tiny percentage of the population (Coptic Christians) and only in a liturgical sense—the same way Latin was spoken in Christian masses up until relatively recent times (my mom used to tell me how Latin was still being used in Mass when she was a little girl). Related to this is the fact that for the last 300 years of pharaonic history, Greek was the administrative and legal language of Egypt. It continued to be preferred by many in the bureaucracy and among the elite and educated even through the Roman period. And for this reason a lot of the vocabulary we use when talking about Egypt today is from the Greek language (including the word “Egypt” itself). Also predominant is Arabic, the primary language of Egypt since the seventh century CE. This is just what happens when a native language dies out under the spreading dominance of another culture or cultures. It’s much the same with the original languages spoken in the Western hemisphere, most of which are now extinct and were supplanted by English and Spanish. There is also the fact that we don’t have a good understanding of how ancient Egyptian sounded as a spoken language. Vowels were not represented in the written scripts until the advent of Coptic. Picture trying to understand how English might sound if we had only the consonants. Your use of “Kemet” is a good example: all that has survived to our time is the consonantal skeleton k-m-t. In my own example of Djehutymose, all we actually have in transliteration is Dhwtyms. Finally, there’s a practical reason. Most readers do not know much if anything about the ancient language, so using just facsimiles of the ancient words might confuse them. That’s why I had to explain Djehutymose as Tuthmosis. I could use Aset instead of Isis, or Asir instead of Osiris, et cetera, but it is the obligation of a writer who writes for a general audience to make his or her material as clear as possible. Sorry for this painfully long reply. I know it’s much more than you needed, but I was in the mood to write. Htp, Kmtsesh, sorry just got back to you, really don’t know how all this ‘media’ stuff. By the way we can have a long discussion but against popular opinion I do not believe that ‘Coptic’ is related to RanyKemet the spoken language or Sesh Medew Netcher the written language. I am know way disagreeable with a detailed answer. Great to hear from you, ramemhotep. All feedback is welcome. I for one don’t deny the connection with Coptic. That word itself isn’t even from the ancient language but comes from the Greek word Aigyptios, the Greek name for Egypt. Coptic is linguistically important because it was the first time the Egyptians wrote with an alphabet which included vowels, thus giving us a better idea of how some of the ancient language was pronounced. But early Coptic’s relationship with late Demotic, the late form of ancient Egyptian cursive, is indisputable. Coptic is just the Greek alphabet with several demotic characters to write the ancient language. You’re right that the hieroglyphs (mdw-nTr) have little relationship with spoken Coptic or with spoken demotic, for that matter, because hieroglyphs did not represent the every-day spoken tongue for most of dynastic history. It represented a rather archaic stage of the language even by late in the Old Kingdom. By the New Kingdom, speaking in hieroglyphs would be like you and I trying to communicate in Old English right now. Wikipedia tells us that Pi-Ramesses has been founded by Ramses I, Seti I had his summer palace in Pi-Ramesses and after that Ramses II made Pi-Ramesses his capital.That suggests in relation with Exodus1:11 that Ramses I and eventually Horemheb are much more serious candidates for the role of the Exodus-pharaoh than Ramses II. 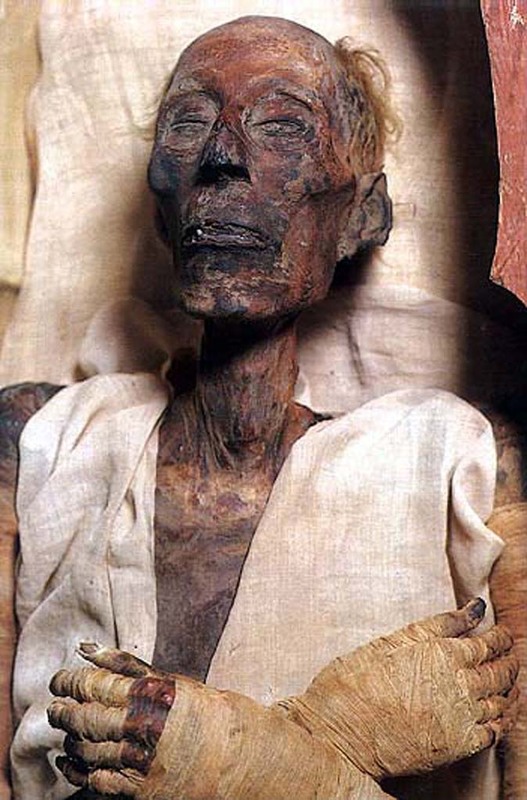 Nothing is known about the cause of death of Ramses I, but it came unexpected. His grave was not yet ready. Was he drowned with his soldiers crossing Bardawil Lake, in Hebrew Jam Suf, during a desertstorm in 1310 b.C. (or 1290 b.C.)? You can find this in Exodus 13:17 – 14: 31, if you are able to read it in Hebrew and without religious prejudices. During the wars of Seti I en Ramses II Moses and the children of Israel wandered trough Sinaï, but Merneptah battled with them later when they arrived in the Promised Land. The fit between Egyptian and Biblical history in this period looks nice. 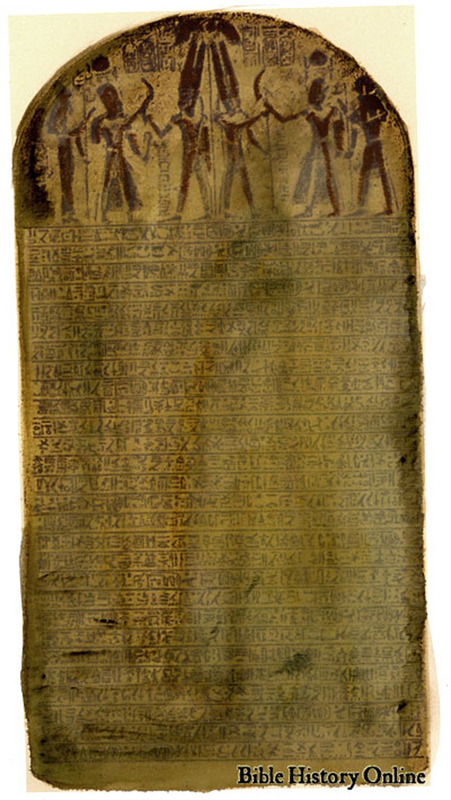 They meet at Exodus 1:11 and go parallel until Merneptah’s stela. Just assume that the Wikipedia Pi-Ramesses can be identified with Rameses in Exodus 1:11 and forget the mythical interpretation of the Exodus story about crossing the Red sea. The Mac Millan Bible Atlas assumes a position for Baäl Zephon on Philistine territory between Bardawil Lake and the Mediterranian sea. That is a small strip east of Migdol, a tower marking the Egyptian border near Pelusium.That was a probable situation during Ramses I, before Seti I chased the Philistines away. The location Pi-hachiroth can be found at the tip of the peninsula El-Zugbah, 8 kilometers south of Baäl Zephon and separated by about 14 kilometers of shallow water from the Sinaïshore. The lowering of the sea level by a storm from the east can explain the safe passage to that shore. Panic, quicksand, deep channels to the left and the right and disorientation in the dark explain the Egyptian disaster. Some 3324(?) years after the death of Ramses I the Exodus 13 and 14 story still reads like a testimony on that event by an eyewitness in exactly the words that passed from generation to generation before they were written down as part of the Thorah. I agree that Ramses II and Tuthmoses III do not fit into that picture, but Ramses I does. Do you have comments on this vision? Hello, knarf. Sorry for the tardy reply but I’m playing catch-up. I appreciate your comments. I personally don’t see Ramesses I as a viable candidate for the pharaoh of Exodus. He was not a great king and left relatively few monuments, owing primarily to the fact that he was an old man when he ascended to the throne. This also best explains his abbreviated tomb (KV16). Horemheb is not a likely candidate at all but is responsible by creating the entire Ramesside line, simply because he had no male heirs. He “adopted” his military colleague Ramesses (I) even though he was an old man because Ramesses (I) had a son who would be the next king, Seti I. Horemheb was far-seeing in doing this. Seti I would, of course, sire Ramesses II, one of the greatest pharaohs of history. As for the city of Pi-Ramesses, it is indeed possible that Ramesses (I) founded the city, but at the time he would’ve been only a general under Horemheb, not the pharaoh. And it is likely Seti I used the same site for his palace, but this did not make it an important city or capital any more than Amunhotep III’s palace at Malqata did. Pi-Ramesses became a key city and capital only in the time of Ramesses II. It is much more likely that the Hebrew scribes who later penned Exodus were remembering this iteration of the city than some earlier, more minor version of it. And I’m not certain the site actually bore the name pr-ramss until the time of Ramesses II. Thanks for this interesting analysis. The recent movie Patterns of Evidence makes a very interesting case that the Exodus did occur, just much earlier than had been believed. They presented lots of possible archaeological support. What is your view on this? Hi, Rick. I’m not familiar with this film but now you have me curious to see it. I reviewed its Facebook page. But because I haven’t watched Patterns of Evidence, I am unable to critique or address it authoritatively. Perhaps if I’m able to watch it at some point, it could be the subject for another article on my blog. All I can really say is what I know from archaeological and textual sources. Through modern times almost every New Kingdom monarch has been pinned as the pharaoh of Exodus, as far back as Ahmose I (c. 1550 BCE). The problem is, there is no tangible evidence for a people identifiable as proto-Hebrew or Hebrew until the very end of the Bronze Age (after 1200 BCE), and there is no written or textual evidence from the Hebrews themselves until several centuries after that. Proponents of a much-earlier setting for Exodus have to address these facts, and to date no one has done so successfully. I’m just curious to see how it’s spun in Patterns of Evidence. Thank you. I did see the movie in the theater but it was just a special one time showing. Hopefully the DVD and book will be available soon. The author unearthed some very interesting new clues, I am sure you will find it fascinating when it is available. Let’s hope soon! You are not going to find evidence for Exodus in the wrong time. Personally I think the Hyksos are actually the people of Israel. The shepherd kings that did conquest Egypt not by a war, but by shear numbers. You have to take Egyptian records with a grain of salt as well. They were not deprived of political and propaganda, hiding, altering or making up some of the stories, especially if made them look real bad. Thanks for commenting. I barely touched on it in my article, but the Hyksos cannot have been the Hebrews. The Hyksos were simply too early in time. It’s now understood they were mostly a Semitic people from Canaan, so they have that in common, but that’s about it. The Canaanites built shrines not indicative of Yahweh but of Canaanite pagan deities, buried their dead in a typical Canaanite manner, and made towns, homes, and ceramics of Canaanite fashion. Once the Hebrews arrived on the stage, the archaeological remnants of even their earliest settlements make it pretty clear how they stood out in Canaan as a different ethnicity. It’s certainly not just historical records with which we’re working, but the sum total of archaeological evidence that guides us. 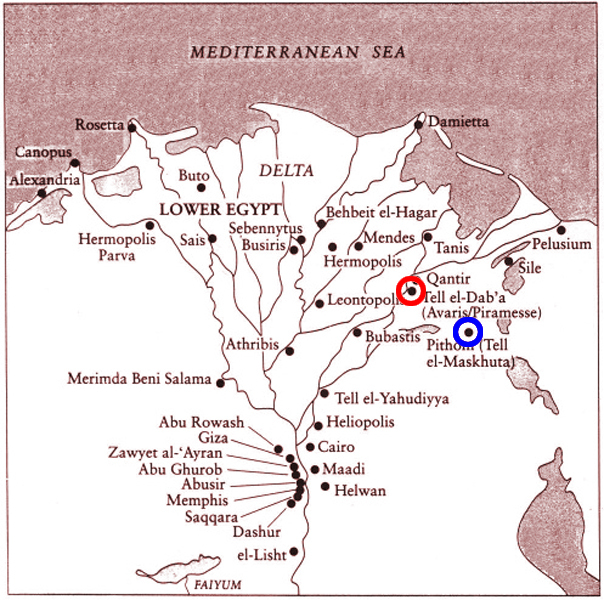 The Hebrews did not emerge as a people until around 1200 BCE, and by that time the Hyksos were long extinct. I really should do a full article on this. A couple of years ago I mentioned the movie Patterns of Evidence. It makes a very good case that the Exodus is real, and that it happened earlier than many had thought. The movie is available on Netflix and they have an interesting website. http://patternsofevidence.com/ I would be interested in your take on their research. See the Book of Jasher chapter 65.